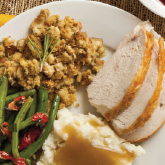 As Thanksgiving approaches, there will be many dishes to choose from on the table in addition to the main course. Similarly, there are several different HR applications available to organizations. Research from HRWINS shows that on average, organizations use up to 24 applications for recruitment alone. Just as families and friends are preparing to complement their main course with the best side dishes, organizations that value recruiting should likewise start thinking about choosing a centralized applicant tracking system (ATS) as the main course for all their integration side dishes, including HCMs and ERPs. Doing so will lead to many benefits, the most significant being better data governance, scalability, and ROI. Real-time integration allows for a single set of data to support accurate decision-making. Disconnected data is futile as it doesn’t provide appropriate visibility and may create security and compliance concerns. Integrations allow a core ATS to send all new hire or rehire information to the HCM or ERP in order to receive back pertinent data such as: job templates, position management, locations, and organizational structure. Recruiting is dynamic and talent acquisition point solutions will likely change as a business scales. With a core ATS, a HCM or ERP is isolated from those constant changes and the need to manage dozens of individual recruiting integrations within a HCM or ERP is eliminated. A core ATS integration brings all systems together and serves as the main course for all talent acquisition technologies, exchanging data and analytics between the ATS and an organization’s HCM or ERP of choice. Lack of integration across disparate systems is the number one challenge cited by Human Resources professionals today. Systems that don’t talk lead to hours of data entry and administration. On the other hand, automation can save the business from costly errors and align employees to more productive work. Many companies that value recruiting are choosing a robust main hub like iCIMS UNIFi to extend their HCM or ERP integrations. HR professionals are focusing on ATS integrations because HCMs and ERPs are not focused on recruitment, they leave recruiters hanging, and most importantly, they leave candidates hanging. With UNIFi, iCIMS’ Platform-as-a-Service framework, organizations can achieve better data governance, scalability, and ROI. UNIFi enables organizations to leverage a “main course” of centralized recruitment data and analytics that integrates bi-directionally with HCM and ERP “side dishes” of choice. An organization’s core ATS should have the experience to easily integrate with the leading HCM and ERP providers. Hundreds of partners have integrated their products with iCIMS, and thousands of iCIMS customers are using partner-developed products in conjunction with the iCIMS Talent Acquisition Suite. iCIMS continually expands its integration capabilities with HCM and ERP providers, such as ADP, Ultimate, Microsoft Dynamics, Infor, Workday, SAP, and Oracle, among others. In fact, iCIMS will be introducing an automated integration with ADP’s Workforce Now (WFN) solution. Also, as part of the UNIFi program, iCIMS will be introducing Prime Connectors, which provide the full integration of third-party partner products into the iCIMS Talent Acquisition Suite, enabling a single system of record and single user interface, along with an advanced integration experience. This Thanksgiving while the best main courses and side dishes are being chosen and prepared, organizations who value recruiting would do well to evaluate the long-term benefits of integrating a core ATS with their HCM or ERP providers.